In what hopefully isn't a blow to his career, Dustin McGowan is going to miss the remainder of the season to undergo surgery on his damaged labrum. McGowan hasn't pitched since July 8th, when he came out of the his start against the Orioles due to the pain after 4 innings. He was diagnosed with a partial tear of his rotator cuff last September, and a look earlier this month reveled no further damage. 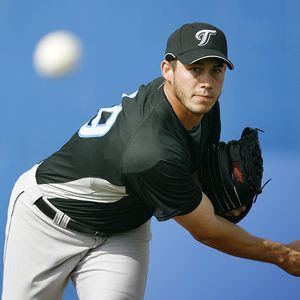 If nothing more needs to be done to the rotator cuff, McGowan should be available for Spring Training next year.